The 3-D films are in practice since the 1950s but 3-D technology is now coinciding with the computer-generated imagery and introduction of high-definition video standards. Real D Cinema is the world’s most patent and highly used technology for showing 3D movies in theaters and they are very cheap to install. To enjoy the 3D images or movies we need circularly polarized or active LCD shutter glasses. These glasses use circularly polarized or active LCD shutter that ensures that each eye has a different image and have different feelings that altogether create the perception of the brain. Below are the commonly used and most popular advanced 3D technologies. 3D modeling is the process of developing a mathematical representation of any three-dimensional surface object via specialized software. The product is called a 3D model. The model can also be physically created using 3D printing devices. This technique is also known as meshing. Rendering is the phenomenon of creating the actual 2D image or animation from the prepared scene. This can be compared to taking a photo or filming the scene after the setup is finished in real life. The 3D rendering is the 3D computer Graphics process of automatically converting 3D wire frame models into 2D images. Reflection/Scattering – Defines how light interacts with the surface at a given point. 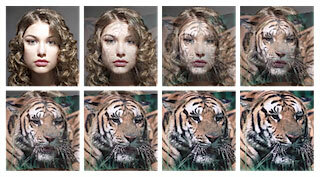 Morphing is special effects in motion pictures and animations that morph one image into another. it is used to depict one person turning into another either through technological means or through a seamless transition. It is one of the commonly used 3D technologies. Under this technique, the source image is gradually distorted and is faded out while the target image is faded in. The early images in the sequence are much like the first image. The middle image of the sequence is the average of the first image distorted halfway towards the second one and the second image distorted halfway back towards the first one. The whole process consists of warping two images so that they have the same “shape” and then cross dissolving the resulting images. It is a method for adding certain features like detail, surface texture, or color to a computer-generated graphic or 3D model. A texture map mapped to the surface of a shape, or polygon. This process is akin to applying patterned paper to a plain white box. Generally, the image drawn using 3D techniques when viewed on a raster device such as an LCD Display or CRT Television causes aliasing effects mostly along geometric edges and the boundaries of texture. These effects are called “jaggies”. 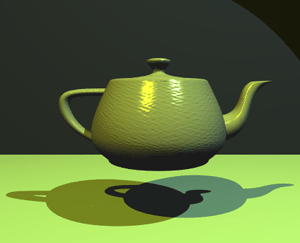 Anti-aliasing methods rectify such problems, resulting in imagery more pleasing to the viewer, but can be somewhat computationally expensive. Stereoscopy refers to a technique for creating or enhancing the illusion of depth in an image. It is carried out by presenting two offset images separately to the left and right eye of the viewer. Both of these 2D offset images are then combined in the brain to give the perception of 3D depth. It is also called stereoscopic or 3-D imaging. I hope you liked this article on 3D technologies. Do not forget to share it with your friends. If you have any questions on 3 Dimensional technologies, let us know in the comment section below. Excellent points altogether, you simply gained a new reader. What may you recommend in regards to your submit that you made a few days ago? Any sure?